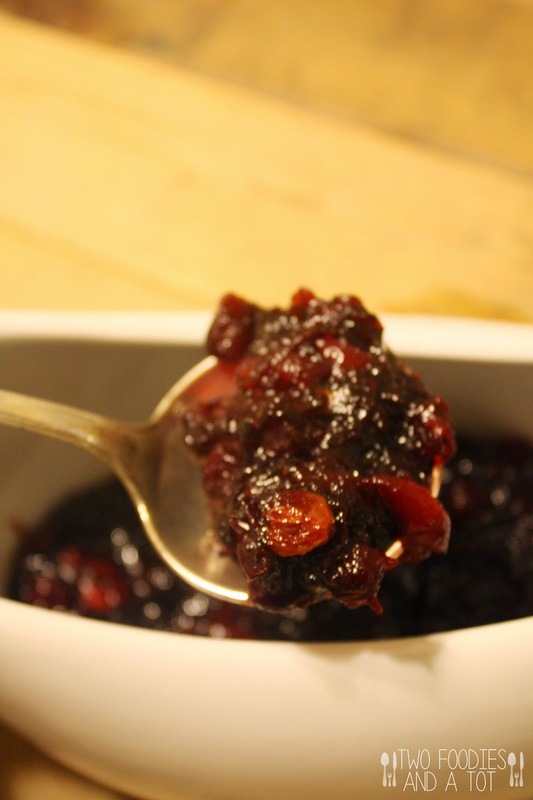 And for more festivity, I made some caramelized onion and cranberry chutney. It's great with roasted chicken, pork roast, baked brie, crostini and the list goes on and on. This can be done days ahead as it keeps well in the fridge for up to 2 weeks or so. 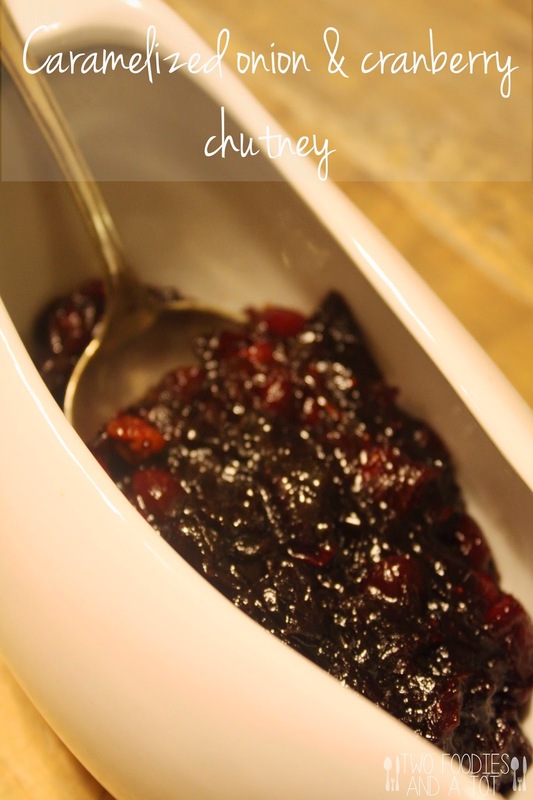 Great homemade condiment to add a little shine to the meal without having to stand by the stove while rest of the chaos going on at holiday meal. 1. Melt the butter in a pan over medium heat. Add chopped onion and cook until onions are caramelized, stirring occasionally. It took me a little over 15 minutes with one small onion. 2. Add remaining ingredients. Increase the heat to high and bring it to a boil while stirring so sugar dissolves. 3. Reduce the heat to medium and cook it down for 8-10 minutes until cranberries pop and mixture reduces slighly, while stirring occasionally. 4. Cool completely and keep in the fridge up to 2 weeks. Take it out 30 minutes before serving. *Adapted from Go bold with butter.